Originally posted on IU Communications’ Student Experience blog. 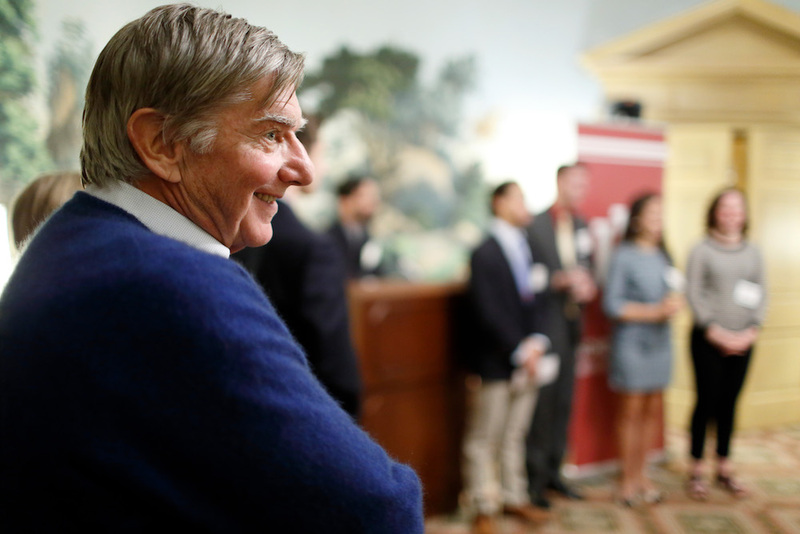 Alumnus Scott MacDonald meets with the inaugural MacDonald Scholars during a recent ceremony. Photo by Eric Rudd. Categories: Posts, Works | Tags: Indiana University, MacDonald Scholars, Scott MacDonald | Permalink. That’s how many years since IU was founded in 1820, and today’s campus is greatly transformed from that first version. In anticipation of the 200-year anniversary of the university’s founding, interns for the Office of the Bicentennial have been researching IU’s history for projects that will be featured on the IU Bicentennial website. Their projects will be featured at an open house from 2 to 4 p.m. Friday, Dec. 9, in the Indiana Memorial Union Dogwood Room. 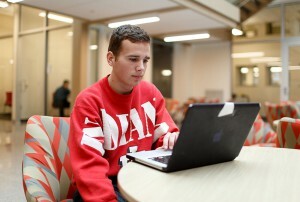 IU Senior Scott Jauch works on his project in the common lounge at the new Media School. Photo by Eric Rudd. Categories: Posts, Works | Tags: bicentennial, Indiana University, IU Communications | Permalink. Originally posted on IU Communications’ blog Science at Work. On Saturday, Oct. 22, IU was overrun with robots. Categories: Posts, Works | Tags: Indiana University, IU Communications, Science Fest | Permalink.